According to a well-known fitness company, their traffic jumps 40 percent during January. Most people want to shed the extra pounds they put on over the holidays. That’s an impressive goal to begin the year. But beyond getting healthier, what about getting wealthier. We tend to focus on our physical looks at the start of the year but fail most of the time to look over our financial fitness. If you are thinking of some financial ideas you might employ this year, here are nine simple but pertinent things you should never neglect if you want to make your 2019 your best financial year ever. Create and follow a budget plan. You have been hearing this advice every now and then, but the question is, are you following it? As a mature and sensible person, we all know what is wrong from what is right. But knowing the difference is not good enough. Knowing about something is different than being able to do it consistently. To make sure that you will stick to the plan, having a tool like budgeting apps will help a lot. Avoid consumerism. With the advent of online shopping and booming mall industry, I know it’s quite difficult to go against the stream. But owning less stress and debt and more time and freedom brings great relief to our lives. For sure we all believe that it is better to earn more than to spend more. The problem lies in mindless consumption; it always turns into excessive consumption. Save 10 percent and invest 10 percent. Yes, it’s true that we should build first our emergency fund, but for those who are earning above minimum wage, you can do both, saving and investing. If you want to fast track your financial freedom, you can save 10 percent of your monthly income and invest another 10 percent of it. Measure your progress. Merely tracking what we do will immediately and significantly improve our performance and chance of success. If you are serious of getting out of debt, increasing your savings and investing, make sure you track those things on a monthly basis. Don’t let the month end without knowing your numbers. You won’t know whether or not you are successful unless success is defined and tracked. Create a financial plan. At the end of this year, many will become financially successful, while many others will be an outright failure. To ensure your success, you should avoid making the single biggest mistake: inadequate financial planning. To have an objective plan, I suggest you seek help from a registered financial planner. Invest for your retirement. 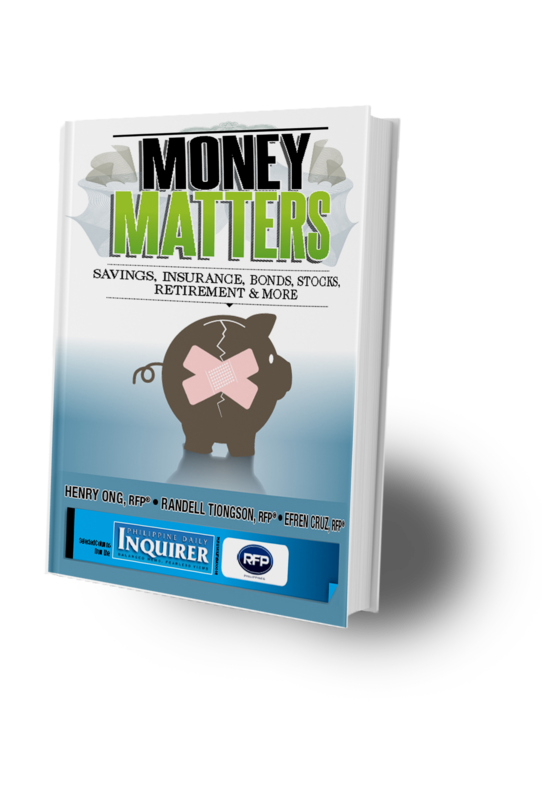 With left and right news about SSS and GSIS funds’life getting shorter, it’s about time for you to really consider taking care about your golden years. If you want to have a graceful retirement, relying on any government retirement program is the last resort you can do. Do weekly financial fasting. For a devout Catholic, they consider Friday as their weekly fasting day, they don’t eat meat and eat less on Friday. If you want a radical financial change this year, you may embark on financial fasting, wherein you will declare a zero-spending day. Then once you build the habit, you may also try the 21-day financial fasting. The financial diet promises to break bad spending habits and set you on a better financial course for the future. Try a daily savings challenge. Last year, 2018, there’s a lot of monthly savings challenge that happened. If you want to radicalize it, you can take the daily savings challenge. Create a form to monitor your daily savings and then open a savings account wherein your accumulated savings will be placed. Boost your investment knowledge. We want to exit the rat race fast, but never do it by investing haphazardly and by putting your money into something you don’t fully understand. Take time to read and learn about the investment you are about to start. Don’t forget that the most important investment that you will do is the investment of yourself and that is financial literacy. Good news there are lots of local books available already in the market written based on the local setting. You may also read my book “Financial Planning for the Fast Changing World” and “Seed Money.” Make sure to allow also a budget for investment seminar this year. I highly suggest you attend the annual RFP Financial Fitness Forum scheduled on March 30. Setting and reaching your financial new year’s resolution will help you achieve financial freedom. You don’t have to do the above resolutions at once, take one step at a time. Just make sure to have real progress on your journey this year. By putting a good plan in place and committing to keeping your money on the right course, you’ll hit your target. 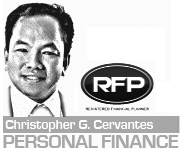 Christopher G. Cervantes is a Registered Financial Planner of RFP Philippines. He is author of Financial Planning for the Fast Changing World and The Seed Money. Previous: Is My House an Investment?